Have you heard about the confetti tradition, when palm or olive leaves are decorated with confetti sweets? You will be able to read more about that in an upcoming post at my blog "Secret costiera amalfitana". 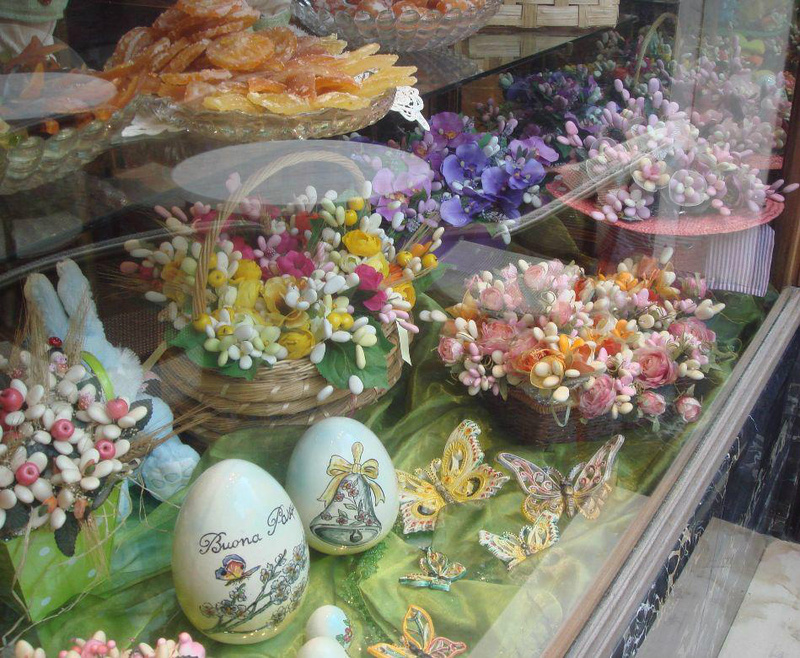 The confetti you can see in this window are at Pasticceria Pansa's in Amalfi.